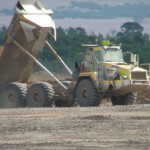 Anglo American submits Drayton South mine plan a third time (0) January 5, 2015 Anglo American has submitted plans to develop its Drayton South mine for the third time. 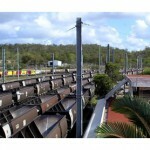 Train drivers strike at Aurizon rail yard (0) January 5, 2015 Locomotive drivers at Mackay have taken a 24 hour protected strike action over the weekend. 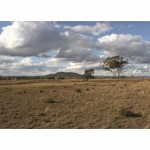 Watpac wins Sirius nickel project contract (0) January 5, 2015 Watpac has won the contract to build the tailings storage facility at Sirius Resources’ Nova nickel project. 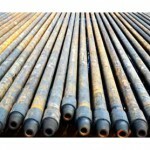 Decmil win QCLNG well contract (0) January 5, 2015 Decmil has won a $65 million extension to its QCLNG wellsite installation contract. 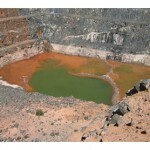 Attempted miner poisoning at Roy Hill mine (0) December 18, 2014 Poisoned food has been uncovered at the Roy Hill iron ore mine, although its apparent target remains a mystery. 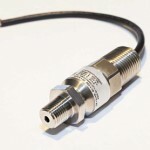 Gems introduces heavy duty explosion proof pressure transducers for oil and gas equipment (0) December 17, 2014 Gems Sensors & Controls (Gems) has announced the global launch of a new range of heavy duty explosion proof pressure transducers. Sandvik and Downer join forces on service solutions for mining materials handling projects (0) December 16, 2014 Sandvik Mining Systems is partnering with Downer EDI Limited (Downer) to offer high-level field service and maintenance solutions. 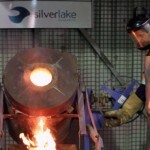 Secret buyer walks away from Lakewood Mill purchase (0) December 12, 2014 Silver Lake Resources has failed to sell its Lakewood gold mill after announcing a buyer was interested in October. 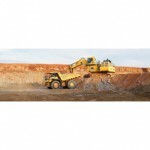 Miner killed in wall collapse at Grasstree coal mine (0) December 12, 2014 A second miner has been killed at Anglo American’s Grasstree coal mine after an underground collapse. 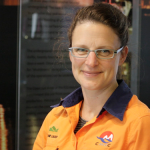 BC Iron cuts jobs (20) December 11, 2014 BC Iron has cut jobs in order to deal with the falling price of iron ore.
Woman becomes chair of NSW Minerals Council for first time (0) December 11, 2014 Northparkes mines managing director Stefanie Loader is the new chair of the NSW Minerals Council. 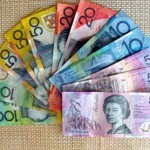 “Dutch disease” effects could be unwinding rapidly as dollar plummets (0) December 11, 2014 ​There are indications that the effect of “Dutch disease” in Australia is more pronounced than that in Canada. 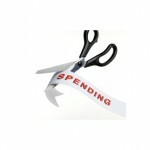 Santos slashes spending (0) December 11, 2014 Santos will slash its projected 2015 spending by a quarter in the wake of falling oil prices. 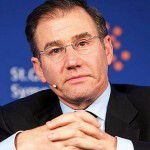 Glencore chief promises returns to investors (0) December 11, 2014 Glencore chief Ivan Glasenberg said the company was focusing on returning cash to investors instead of buying new assets just “for the sake of having a bigger company”. 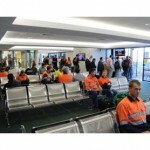 New FIFO travel solution launched (0) December 11, 2014 A new integrated mobile solution is helping FIFO workers get from A to B easier. 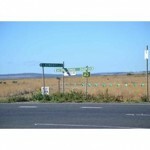 Surveyor error revealed in Cyclone George donga deaths (0) December 11, 2014 An inquest into the death of two people at FMG’s Rail Camp One has heard a surveyor error meant the buildings were given the incorrect wind region assessment. 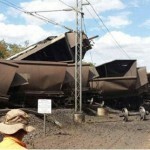 Coal train crash in Queensland (0) December 11, 2014 The Goonyella coal line was blocked for several days last week after an unmanned train derailed. 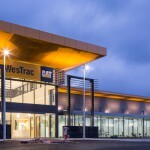 New Zealand holds its first mines rescue comp (0) December 11, 2014 New Zealand has held its inaugural mines rescue competition at Newmont’s Waihi gold mine. 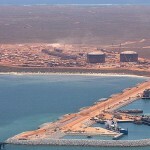 Another Barrow Island worker commits suicide (0) December 10, 2014 A man working at Chevron’s Gorgon Project has taken his own life. 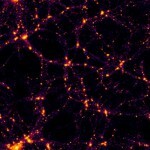 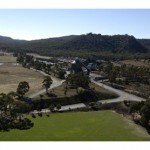 ​Dark matter mine study comes to Australia (0) December 10, 2014 A Victorian gold mine is the latest former mining operation to be used to study dark matter. 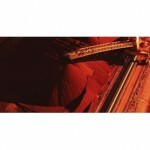 Rio Tinto didn’t expect iron ore to crash this low: CFO (0) December 10, 2014 Head of finance at Rio Tinto said the falling price of iron ore, coal and oil has come as a surprise to most in the industry. 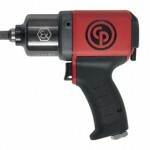 Chicago Pneumatic launches its first industrial ATEX certified impact wrench (0) December 10, 2014 Chicago Pneumatic has launched a new range of impact wrenches designed to provide power, high quality and excellent ergonomics. 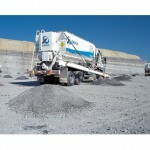 Callide and Dartbrook coal mines for sale as Anglo targets cost savings (37) December 10, 2014 Anglo American’s Callide and Dartbrook coal mines are for sale as the miner announces a massive transformation that will see it shed 35 per cent of its workforce globally. 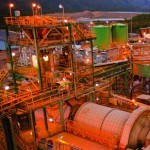 UQ launches new responsible mining course (0) December 10, 2014 The University of Queensland has launched a new Responsible Resource Development program to aid the growth of sustainable mining. 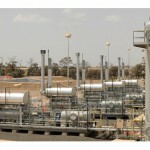 APA to buy QCLNG pipeline (0) December 10, 2014 APA Group has announced it will acquire the QCLNG pipeline for approximately $6 billion. 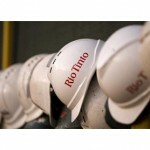 Rio Tinto enters into digital data agreement (0) December 9, 2014 Rio Tinto has signed an agreement with Active Navigation for big data management and cloud services. 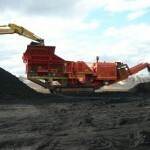 GVK says it will look to finance Alpha coal mine when time is right (0) December 9, 2014 GVK Hancock said it is focused on finalising approvals for its Alpha coal project in the Galilee Basin before looking to finance the $10 billion project. 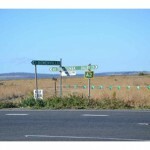 Origin uncovers new gas discovery off Victoria (0) December 9, 2014 Origin Energy has uncovered new gas deposits off Victoria., in the Otway Basin. 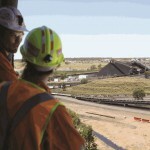 Toro raises millions for WA’s first uranium mine (0) December 9, 2014 Uranium mining hopeful Toro Energy has added $3.9 million to its bank balance after a recent capital raising program. 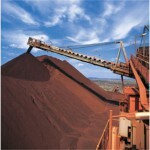 Iron ore price on the way down (0) December 9, 2014 The price of iron ore has once again slipped below $US70 a tonne. 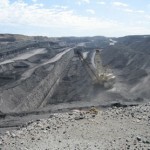 PAC holding final meeting on Shenhua’s Watermark Coal project (0) December 9, 2014 The Planning Assessment Commission will meet in Gunnedah on Thursday to hear final submissions on Shenhua’s Watermark Coal project. 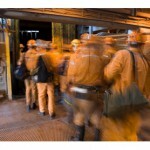 Massive need for miners in the US (0) December 9, 2014 The US mining industry is having trouble finding enough workers to fill spaces, according to new reports. 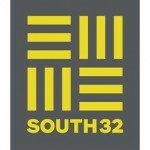 BHP Billiton calls its new company South32 (0) December 9, 2014 South32 is the name BHP Billiton has chosen to call its new company. 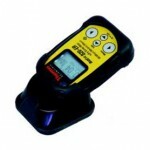 Rapid radiation detectors for mining and coal seam gas operations (0) December 9, 2014 ADM Instrument Engineering introduces a new range of radiation detectors from Thermo Scientific for coal seam gas (CSG) and mining operations. 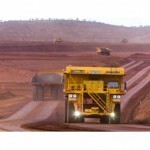 ​Rio Tinto and Sydney Uni expand autonomous mining partnership (0) December 8, 2014 The University of Sydney and Rio Tinto have announced they will extend their autonomous mining research partnership for five years. 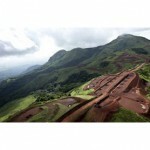 Simandou iron ore fight could be settled out of court (0) December 8, 2014 Vale said it might consider settling the Simandou iron ore fight with Rio Tinto out of court. 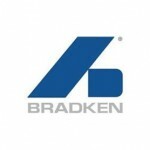 Bradken gets takeover offer, says growth not dependent on commodities recovery (0) December 8, 2014 ​Bradken shares soared last Friday on news of a takeover offer from a private equity consortium. 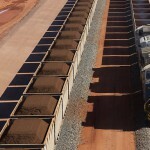 Flooded iron ore market needs ACCC spotlight: former Rio staffer (0) December 8, 2014 Former Rio Executive Mal Randall said the move by iron ore majors to increase production at a time the market is oversupplied should be investigated by the ACCC. 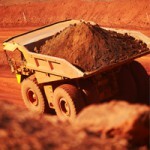 Suing miner expected to drive 20 hours home: Lawyer (0) December 8, 2014 Lawyers for a QLD mine worker suing his employer for negligence say he was expected to drive 20 hours home after an 80-hour work week. 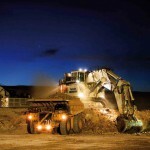 ​Sandvik to shift to India and China, close European, American operations (0) December 8, 2014 Sandvik has announced a geographical shift, moving its global mining facilities from Euorpe and North America to India and China. 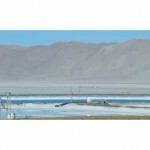 Orocobre opens new lithium mine (0) December 8, 2014 Orocobre has officially opened its Olaroz lithium mine. 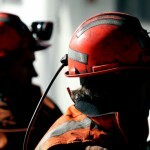 Coal mine workers return to work after industrial dispute (0) December 8, 2014 300 coal workers have returned to work after their employer tore up a contract with Griffin coal mine last week. 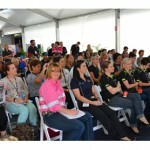 “Sisters in Mining” program putting Indigenous women in the driver’s seat (0) December 5, 2014 A program which trains Indigenous women to drive mining haul trucks has won a national award. 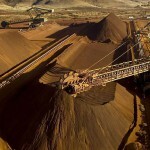 Price of iron ore rises (0) December 5, 2014 The price of iron ore has jumped to its highest level in over three weeks. 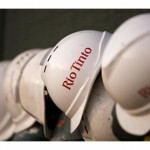 Rio Tinto rubbishes merger talks, boasts shareholder returns (58) December 5, 2014 Rio Tinto is on a journey to woo investors, with a presentation in London overnight highlighting the company’s shareholder returns. 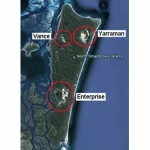 Sand miner to shut North Stradbroke mine (3) December 5, 2014 Sibelco will shut down its North Stradbroke Yarraman sand mine next year. 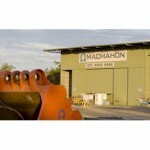 Macmahon cuts jobs in Perth (827) December 5, 2014 Mining contractor Macmahon is cutting around 40 jobs in order to deal with the slump in the sector. 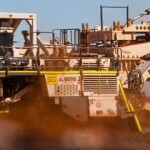 Atlas Iron cuts 80 jobs (0) December 5, 2014 Atlas Iron has cut 80 jobs in the Pilbara in order to stay afloat amid weak iron ore prices. 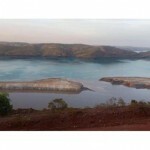 Koolan Island workers made redundant, mine to remain closed (0) December 5, 2014 200 workers at Koolan Island mine have been made redundant as the company tries to find a solution for its flooded operation. 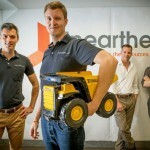 South Australia launch world’s first 3D model to aid exploration (0) December 5, 2014 South Australia has launched a 3D model of its Eastern Gawler Craton to aid new mineral discoveries. 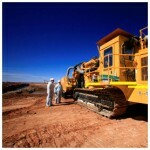 New tax offset for exploration legislation developed (0) December 5, 2014 The Government is launching an Exploration Development Incentive to help boost exploration for new mineral deposits. 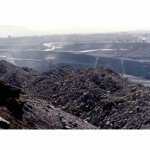 Unpaid debts forces workers to walk off coal mine (4) December 4, 2014 The future of 300 coal jobs are in doubt after a mining contractor sent its workforce home over unpaid bills for the fourth time. 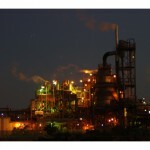 Bradken Adelaide foundry to close, up to 119 jobs to go (0) December 4, 2014 ​Workers have been told in a letter that the Bradken foundry at Kilburn, Adelaide will be “phased out” late next year. 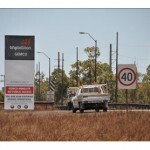 Mining drug raids continue in WA (0) December 4, 2014 FMG’s Cloudbreak mine has been the target of a police drug raid as the industry-wide crackdown continues. 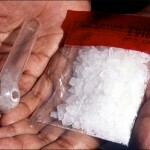 Alleged Roy Hill mine drug bullies compensated after sacking (0) December 4, 2014 Two Roy Hill mine workers who were sacked after allegedly bullying a fellow worker into buying crystal meth for them have been compensated for unfair dismissal. 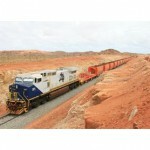 ​Top FMG excutive heads rolls (0) December 3, 2014 Fortescue have stood down top executives at the iron ore miner at it prepares to slash costs across the board. 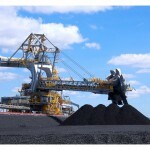 Thiess win $250m coal contract (0) December 3, 2014 Jellinbah Resources has awarded Thiess the $250 million mining contract for its Jellinbah East coal mine. 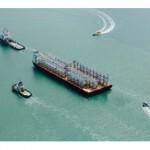 ​Last LNG module arrives on Curtis Island (0) December 3, 2014 The last module for all of the Curtis Island LNG plants has now arrived. 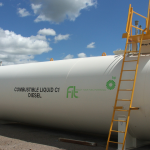 QGC opens micro-LNG plant (47) December 3, 2014 QGC has partnered with BOC to open a new LNG plant near Chinchilla, QLD. 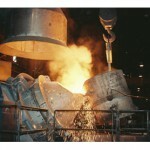 Vale considers spin-off of its base metals arm (0) December 3, 2014 Vale is reportedly considering listing its base metals business as iron ore prices fall and costs begin to bite. 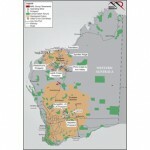 New round of exploration funding granted in WA (0) December 3, 2014 Round 10 of the Exploration Inventive Scheme funding has been granted to 41 drilling and prospecting projects in WA. 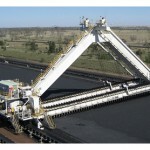 ​New coal mine approved in Galilee Basin (0) December 3, 2014 AMCI and Bandanna Energy’s South Galilee coal project has been given the greenlight by the QLD Government. 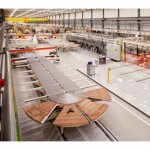 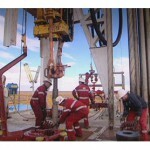 Atlas Iron cuts board member pay by 15% (0) December 2, 2014 Atlas Iron is cutting its bosses pay by 15 per cent as two members of the board step down. 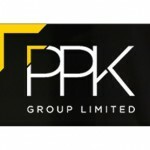 PPK acquires drilling equipment company (111) December 2, 2014 PPK has acquired an underground drilling and boring equipment company, Firefly International. 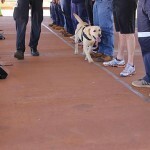 Police target FMG workers in drug search (0) December 2, 2014 FMG’s Christmas Creek mine site has been the target of a police drug operation, with workers searched as they disembarked planes on their way to work. 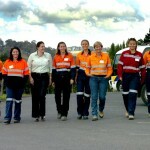 Mentors needed to support NSW’s mining women (0) December 2, 2014 Women working in the NSW mining industry are being asked to participate in a mentoring program aimed to help females entering the sector or looking to further their careers. 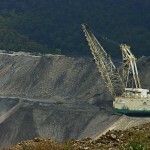 ​Bulga receives approval for minelife extension (0) December 2, 2014 The NSW Planning Commission has approved Glencore’s Bulga Optimisation Project, which will extend the mine’s life and create 300 new construction jobs. 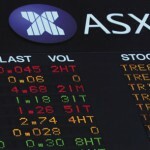 Miners warned to clearly report on reserves (0) December 2, 2014 ​The ASX has warned mining companies not to mislead investors and ensure they are completely transparent in reporting mineral resources and reserves. 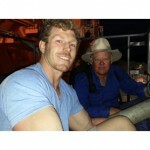 Former Wallabies captain charged after Maules Creek mine protest (0) December 2, 2014 Former Wallabies captain David Pocock will face court next month after chaining himself to a digger at Whitehaven Coal’s Maules Creek mine. 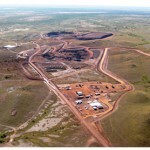 EPA refuses to assess new iron ore mine in WA (0) December 2, 2014 WA’s Environmental Protection Agency has refused to assess a new iron ore mine proposed for the Helena-Aurora Range. 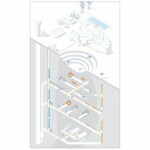 ABB launches new ventilation system for mines (0) December 2, 2014 ABB has launched its SmartVentilation system for underground mines. 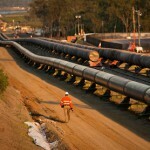 Exploration investment continues to fall (0) December 2, 2014 ​Exploration investment has continued the steady downward trend in the September quarter, with Queensland statistically the worst hit according to the ABS. 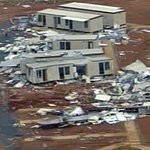 FMG’s dongas not built to cyclone strength (0) December 2, 2014 An inquest into the death of two people at FMG’s Rail Camp One has heard the dongas weren’t built to withstand strong winds. 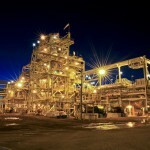 Mining worth $37 billion to the state of Queensland (0) December 1, 2014 A new survey by the Queensland Resources Council shows the minerals and energy sector contributed $37.5 billion to the state in 2013/14. 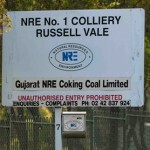 Russell Vale coal allowed to mine 400m of longwall 6 (0) December 1, 2014 Wollongong Coal’s plan to extend longwall mining has been approved the by the Planning Assessment Commission. 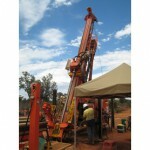 SA conference to highlight exploration (0) December 1, 2014 Despite record mineral production in South Australia, exploration investment has plummeted from $328 million to just $116 over the past three years. 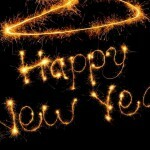 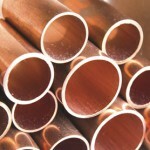 ​Copper falls to new low (0) December 1, 2014 The copper price has fallen to a new four year low. 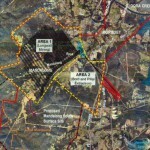 Anglo American to resubmit Drayton South mine proposal (0) December 1, 2014 Anglo American will try to gain approval for its Drayton South mine expansion for the third time. 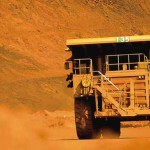 Iron ore could be in trouble for over ten years: analyst (0) December 1, 2014 An analyst out of China has warned the price of iron ore could fall to lows of $US50 a tonne. 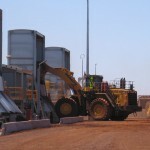 FMG slashes costs to deal with iron ore price slump (0) December 1, 2014 FMG has moved to slash capital expenditure by $US650 million as the price of iron ore remains at five-year lows. 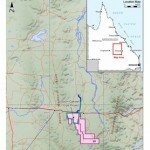 Moolarben Stage 2 coal expansion goes before PAC (0) December 1, 2014 ​​Yancoal’s Moolarben Coal Mine Stage 2 proposal was referred to the NSW Planning Assessment Commission last week. 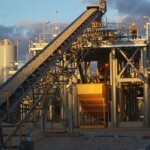 Sedgman win GEMCO processing contract (0) December 1, 2014 Sedgman has won the EPC contract for Groote Eylandt Mining’s manganese mine expansion. 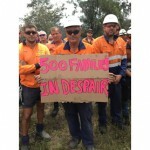 Koolan Island workers stood down (0) December 1, 2014 ​With a huge damming and dewatering operation on their hands, Mount Gibson Iron have stood down around 200 workers. 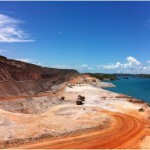 Australian Mining – News in Focus 28/11/14 (0) November 28, 2014 Australian Mining looks at our first graphite production in 21 years; drug problems for FMG; and a JV between Glencore and Peabody. 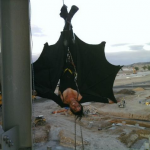 Small improvement for geologist employment (0) November 28, 2014 ​Despite a small amount of improvement in their employment prospects, geoscientists continue to struggle against the exploration downturn. 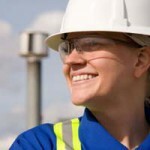 Women in mining not getting a fair go, wages 27 per cent lower (0) November 28, 2014 Female mining professionals are being paid 27 per cent less than their male counterparts. 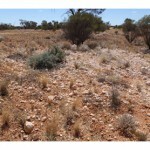 South Australia launches new geoscientific data on unexplored provinces (0) November 28, 2014 South Australia has released new gravity data on its most underexplored provinces. 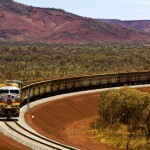 Rio Tinto ups coal reserves and confirms iron ore ramp up (0) November 28, 2014 Rio Tinto has increased its thermal coal reserves in the Hunter Valley. 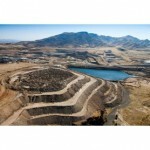 Miner sues for $2 million after car crash (0) November 28, 2014 A man who left a mine site after work and drove for 10 hours before crashing is suing for negligence. 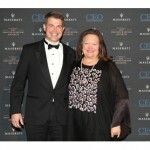 Gina Rinehart wins Chairperson of the Year award (0) November 28, 2014 Gina Rinehart has won CEO Magazine’s Chairperson of the Year award for the second year running. 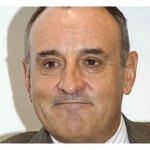 BHP pushes Senate to can union meetings on site (0) November 28, 2014 ​BHP coal boss Dean Dalla Valle has pressed the Senate to help prevent union representatives from meeting with members in workplaces. 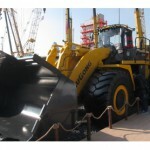 Chinese launch new large wheel loader (0) November 28, 2014 Chinese company LiuGong has launched its largest wheel loader to date at Bauma China. 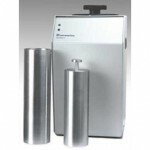 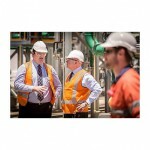 Sedgman wins Alcoa Kwinana contract (0) November 28, 2014 Sedgman has won the EPC contract for Alcoa’s Kwinana filtration plant. 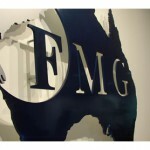 FMG denies it will close Cloudbreak mine (0) November 28, 2014 FMG has dispelled rumours it is closing Cloudbreak mine in WA after an analyst said the miner was considering mothballing the high cost operation. 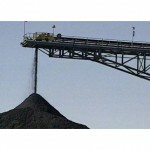 Coking coal mines will see global shutdowns (0) November 28, 2014 Coking coal mines will be closed or suspended at a steady rate until a reduced supply drives a price recovery, Anglo American CEO Mark Cutifani has said. 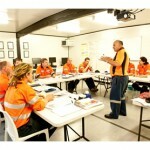 Equal time rosters could fight FIFO suicide (0) November 27, 2014 The chairman of a WA parliamentary inquiry into the effects of FIFO on mental health has said that “equal time” could be the optimum FIFO roster compression for mining workers. 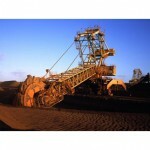 Mining investment plunges to record lows (12) November 27, 2014 Investment in new mining projects is at its lowest level in 10 years. 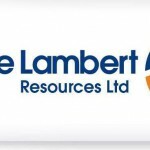 BC Iron loses three board members (0) November 27, 2014 Three resign from BC Iron board as the falling iron ore price starts to squeeze. 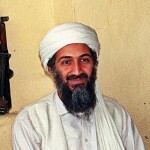 QAL bomb hoaxer said he was Osama Bin Laden (0) November 27, 2014 ​A Gladstone 19 year old has been prosecuted for making bomb threats to a Queensland Alumina Limited (QAL) employee. 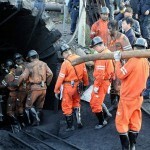 Mine fire kills 26 in China (0) November 27, 2014 26 Chinese miners are dead after a coal mine fire in the northeast of the country. 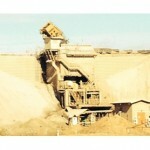 Paddington incident leads to crusher shutdown (0) November 27, 2014 ​A loader became lodged in an ore crusher at the Paddington Mill last week, with no workers injured. 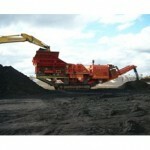 Centennial Coal to shut down Angus Place coal mine (0) November 27, 2014 Centennial Coal is placing its Angus Place mine in ‘care and maintenance’ following a restructuring of its operations. 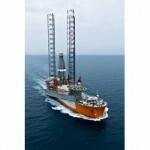 Santos to strip back costs and investment (0) November 27, 2014 Santos will embark on a campaign of cost cutting and halting investment in the face of slumping oil prices. 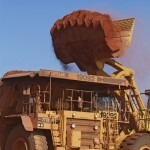 Iron ore falls again as ex Rio boss warns of more volatility (0) November 27, 2014 The price of iron ore has fallen again and ex-Rio Tinto boss Tom Albanese warned that it wouldn’t be picking back up again in a hurry. 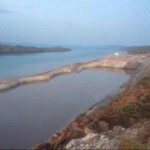 Koolan Island iron ore mine flooded (0) November 27, 2014 ​Pit wall instability has led to a collapse at the Koolan Island hematite mine, with seawater flooding the main pit. 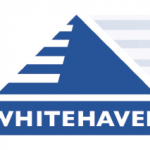 Whitehaven to explore for more coal (0) November 27, 2014 Whitehaven Coal has applied for a new exploration licence near Gunnedah in New South Wales. 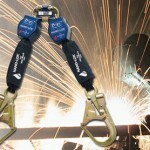 Capital Safety launches new hot work lifelines (0) November 27, 2014 Capital Safety has introduced a new range of self-retracting lifelines designed for high heat applications. 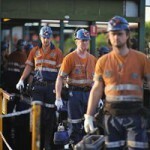 Miners working for less money (0) November 26, 2014 According to new research, Australian mining workers have taken a pay cut of 20 per cent in the past two years. 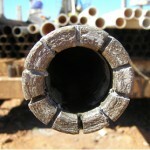 Tablet tech streamlines field inspections (0) November 26, 2014 ​The Northern Territory Department of Mines and Energy have already noticed improvements in efficiency after implementing a new technology last week. 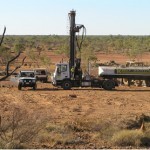 Cameco kicks off uranium mine approvals process (0) November 26, 2014 A mining hopeful in Western Australia plans to double the amount of uranium it will process. 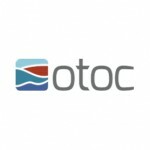 OTOC acquires infrastructure surveying firm (0) November 26, 2014 Resources infrastructure firm OTOC has acquired specialist surveying firm Geo-Metric to expand in Australia’s east coast. 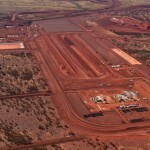 Fortescue executive reveals drug problem on sites (0) November 26, 2014 A Fortescue Metals Group executive has admitted the company has “a bit of a” drug problem on its work sites in the Pilbara. 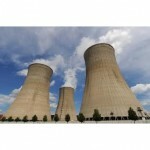 Australia’s nuclear energy future in the spotlight (0) November 26, 2014 Engineers will meet in Melbourne today to discuss the future of nuclear power in Australia. 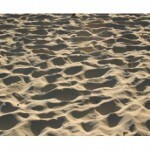 New sand mine proposed for small NSW town (0) November 26, 2014 A new sand mine is being proposed near the town of Nelson Bay in New South Wales. 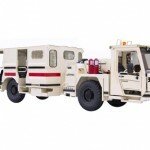 Normet launches new underground vehicles (0) November 26, 2014 Normet has launched a new generation of its MF and LF series of underground equipment, with the machines designed for industrial internet integration. 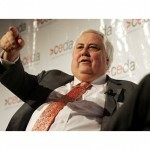 Palmer says fraud allegations are politically motivated (0) November 26, 2014 ​Clive Palmer has struck back against the WA government over ​an investigation into alleged misappropriation of funds from Chinese mining company Citic. 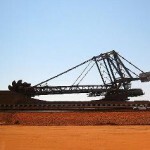 Iron ore below $US70 a tonne (18) November 26, 2014 The price of iron ore has fallen below $US70 a tonne for the first time since 2009. 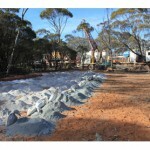 Australia to begin graphite production in SA (0) November 25, 2014 ​Australia’s only operating graphite mine has reopened today for the first time since its closure in 1993. 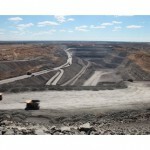 Glencore and Peabody to merge Hunter Valley coal mines (0) November 25, 2014 Glencore and Peabody Energy have agreed to jointly manage the Wambo and United coal mines in the Hunter Valley, the first joint venture of its kind in the region. 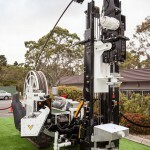 Exploration drilling costs down to $50 per metre (0) November 25, 2014 ​Mineral exploration could be done at a fraction of the cost thanks to researchers at Curtin University who have developed a new coiled tube drilling rig. 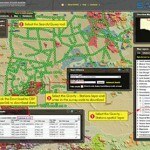 Schneider and Ampcontrol partner to optimise underground coal (0) November 25, 2014 Schneider Electric and Ampcontrol have partnered to develop new operational intelligence solutions for underground coal mining. 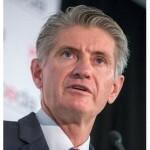 CMFEU questions why BHP cuts jobs to lower costs (0) November 25, 2014 The CFMEU said there are other ways BHP Billiton can save money rather than cutting thousands of jobs. 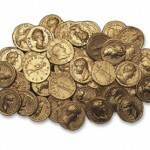 ​Massive ancient roman gold mine uncovered (0) November 25, 2014 Aerial mapping in Spain has uncovered an ancient Roman gold mine. 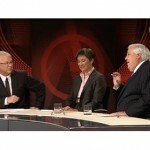 Palmer investigated for fraud (0) November 25, 2014 ​Barely a year past his election into parliament, mining magnate Clive Palmer is officially under investigation for fraud by West Australian police. 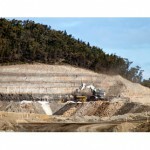 Barminco wins MMG mine contract (0) November 25, 2014 Barminco has won a $110 million contract for development services at MMG’s Rosebery mine in Tasmania. 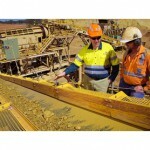 Silver mine in Cobar wants to hire locals (167) November 25, 2014 The company planning to reopen a silver mine in Cobar has called for people in the local area to apply for jobs at the site. 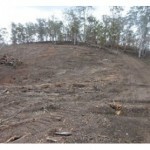 Mineral sands miner cleared land without approval (0) November 24, 2014 ​Development of a mineral sands mine in Central Queensland resulted in complaints of land and vegetation clearing without planning approval. 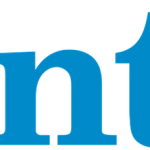 Hastings Deering back to negotiating table over pay cuts (0) November 24, 2014 ​A new enterprise bargaining agreement which would have resulted in pay cuts of up to 25 per cent for Hastings Deering employees has been voted down. 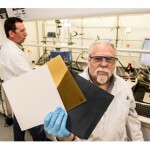 Paladin Energy wants to raise $205m in capital (0) November 24, 2014 Shares in uranium miner Paladin Energy have been halted as the company announced efforts to raise $205 million in capital. 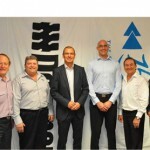 Andrew Forrest buys up more FMG shares (0) November 24, 2014 The value of FMG shares have fallen by around 48 per cent this year, and Andrew ‘Twiggy’ Forrest stepped in to buy $11 million worth of them last week. 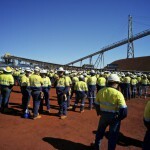 Gina Rinehart says Australia would not survive without mining (0) November 24, 2014 Gina Rinehart said the negativity aimed at the mining industry needs to stop, stating Australia would be unable to survive without the sector. 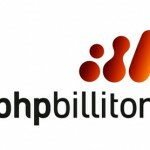 BHP to cuts costs by $US2.3bn (0) November 24, 2014 BHP Billiton is targeting its cash costs and has re-shuffled some the company’s top jobs in order to prepare for the upcoming demerger. 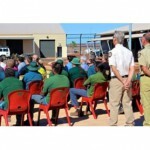 Fortescue offers mining jobs to indigenous prisoners (0) November 24, 2014 ​Aboriginal prisoners will soon have the opportunity to take on mining employment with FMG after their release. 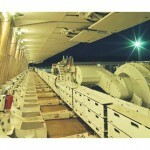 Cat launch new longwall plows (0) November 24, 2014 Caterpillar has released a new longwall plow system for very low coal seams. 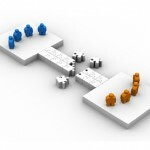 Online Training: The next leap forward (0) November 24, 2014 The workplace is changing, and if workers don’t upskill and learn then they can get left behind. 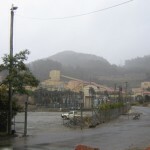 Carina iron ore mine could be put into care and maintenance (0) November 21, 2014 Mineral Resources said its Carina mine could be closed down if the iron ore price continues its free fall. 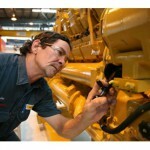 Queensland improves on Lost Time Injuries (0) November 21, 2014 ​Despite an horrific year for industry fatalities, a new report from Queensland showed a decrease in Lost Time Injuries. 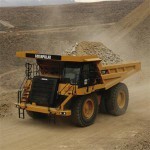 Monadelphous revenue hit as mining investment peaks (0) November 21, 2014 Monadelphous said slow activity in the mining sector had led to a 10.9 per cent fall in sales revenue for 2013/14. 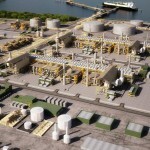 ​1000 Inpex workers may be cut before Christmas (0) November 21, 2014 Inpex Ichthys LNG workers are likely to be laid off ahead of Christmas as a heavy wet season and operational delays bite. 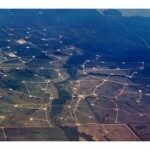 Facebook threats land CSG activist in court (0) November 21, 2014 ​A man has been charged by Queensland Police for making threatening Facebook posts aimed at QGC employees. 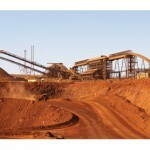 BHP says massive iron ore expansions over (0) November 21, 2014 BHP said it is done with iron ore expansions but that it is not worried about the record low price the commodity has fallen to. 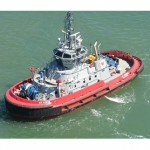 Port Hedland tugboat engineer strike withdrawn (0) November 21, 2014 ​Tugboat engineers in Port Hedland have reached an agreement with Teekay Shipping, precluding the need for industrial action. 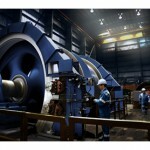 ABB launches hoist assessment service for miners (0) November 21, 2014 ABB has developed a mine ‘hoist performance fingerprint’ service to cut hoist maintenance costs and improve safety. 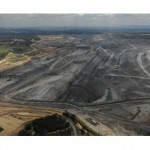 Government to “throw the book” at mine protestors (0) November 21, 2014 NSW Premier Mike Baird said new legislation will work to crackdown on activists who enter mine sites illegally. 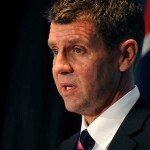 NSW Premier promises to halve assessment time for mining projects (0) November 21, 2014 In a major shake-up of the state’s planning system, NSW Premier Mike Baird has vowed to halve the time it takes to approve major infrastructure projects. 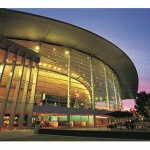 CFMEU attend BHP AGM to fight against 100 per cent FIFO (0) November 20, 2014 ​Union workers and representatives attended the BHP annual general meeting in Adelaide today to protest against 100 per cent FIFO hiring practices. 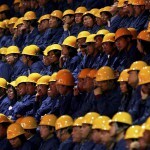 Free Trade Agreement means more Chinese work visas (0) November 20, 2014 ​The new FTA will allow Chinese workers to be brought in for Chinese-owned projects, raising fears of for mining safety standards. 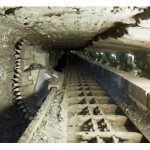 BASF, ACARP to develop spray on coal mine roof support (0) November 20, 2014 A project to develop a spray on alternative to steel mesh sheet roof reinforcements in underground mines. 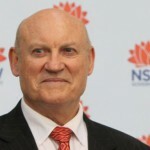 Ian Macdonald facing prosecution over Doyles Creek licences (0) November 20, 2014 Former disgraced NSW resources minister Ian Macdonald is facing prosecution following the ICAC inquiry into dodgy mining licences. 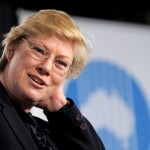 CSIRO chief Megan Clark to join Rio Tinto board (0) November 20, 2014 Former chief executive of the CSIRO Megan Clark is set to join Rio Tinto’s board as a non-executive director. 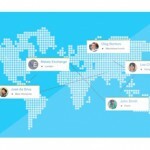 WDS appoints new CEO (0) November 20, 2014 WDS has appointed Laurence Voyer as its new CEO. 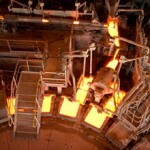 Iron ore hits the dreaded $US70 a tonne mark (0) November 20, 2014 Investors are ditching iron ore miners as the price of the commodity tumbles to a new five-year low of $US70 a tonne. 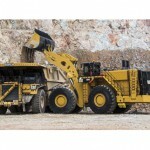 Caterpillar launches its largest ever wheel loader (0) November 20, 2014 Cat has developed its largest ever wheel loader – the 994K. 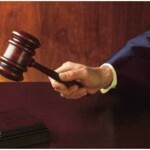 Unfair dismissal case reaches Federal Court (0) November 20, 2014 ​A former BHP employee has taken his case for unfair dismissal all the way to the Federal Court. 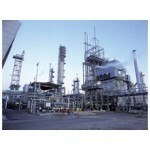 Earnings downgrade and job cuts for Seven Group Holdings (0) November 20, 2014 Seven Group Holdings said it will be forced to make triple digit job cuts as the fall in commodity prices puts pressure on the business. 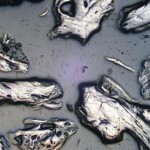 Particle & Surface Sciences releases new drill core analysis instruments (0) November 20, 2014 New analysis equipment is making drill core analysis faster.